Hate Parking? Worry No More Thanks To Today’s Amazing Car Parking Technology! I don’t know about you, but one of the things I hate about driving is having to park my car! As with many drivers, parallel parking is not my strong suit. It usually takes me a couple of attempts. Meanwhile, I have a queue of cars waiting to get past me, with some drivers growing impatient! One of the things I find difficult about parallel parking is spatial awareness. A lot of today’s modern cars are longer than they appear from inside the cabin. And when you look towards the back of the car, the rear quarter-panel windows offer poor visibility. Car manufacturers are keen to make our lives easier behind the wheel. These days when you buy a car, you are likely to get a model that has one or more parking assistance features. In today’s blog post, I explore some of the most-common ways that a modern car can help you park! You will know if your car has front and/or rear parking sensors for two reasons. First, you notice some small colour-coded circles in your bumpers. And, second, an audible beep and display on your infotainment system shows you how close you are to the other cars. There are two types of parking sensors: ultrasonic and electromagnetic. Ultrasonic sensors send sound waves out to detect any obstacles. When the delay between each “echo” gets smaller, the audible beeps get quicker. They do this to warn you that you are getting closer to the obstacles. Electromagnetic sensors set up an invisible “field” around your car. They warn you if something enters that field. They cost more to install than ultrasonic ones. But they are useful when you have a bicycle rack at the back of your car, for example. These handy systems complement parking sensors. In a nutshell, they are cameras that can see out the back of your car. You can look at what’s behind you using a TFT display fitted or built into your car’s dashboard. The technology is often used with buses and semi-trailer trucks. It also gets used with other vehicles where rear visibility is poor. Many mid-range cars come with this technology as standard. When I was at Hilton Garage, I test-drove a car with a reversing camera. I have to say; it’s a useful addition to any car. Even if your car doesn’t have one fitted as standard, the good news is that they can get retrofitted. 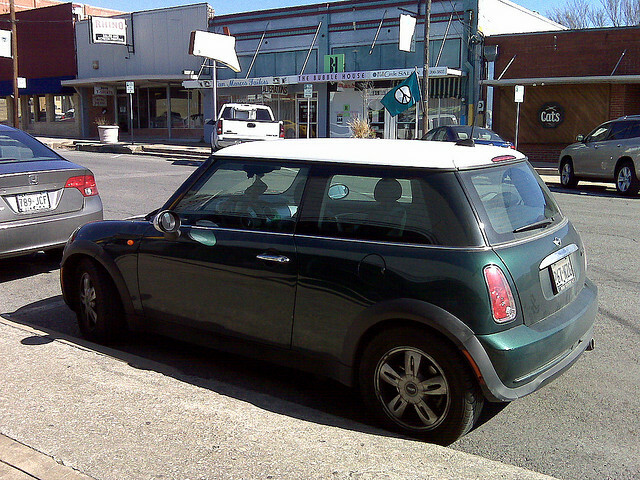 What happens if parking sensors and reversing cameras still don’t help you to parallel park? At this point, you might give up hope of ever being able to parallel park. But all is not lost! Thanks to recent advances in the technology, self-parking systems are a feature that comes as standard in many of today’s cars. The way they work is pretty cool. You drive past the space you want at a slow speed and the car works out if it will fit in there or not. If it can, it will tell you so. You then select reverse gear and let go of the steering wheel. You still have control of the foot pedals. As you are controlling the gas, brake and clutch pedals, the car controls the steering. It tells you when you need to stop, and when to use a forward gear. Pretty awesome, don’t you think?